La Verne resident Saafia Velji picks out a large pumpkin with her mother and sister Monday evening at the Heritage Park Pumpkin Patch. 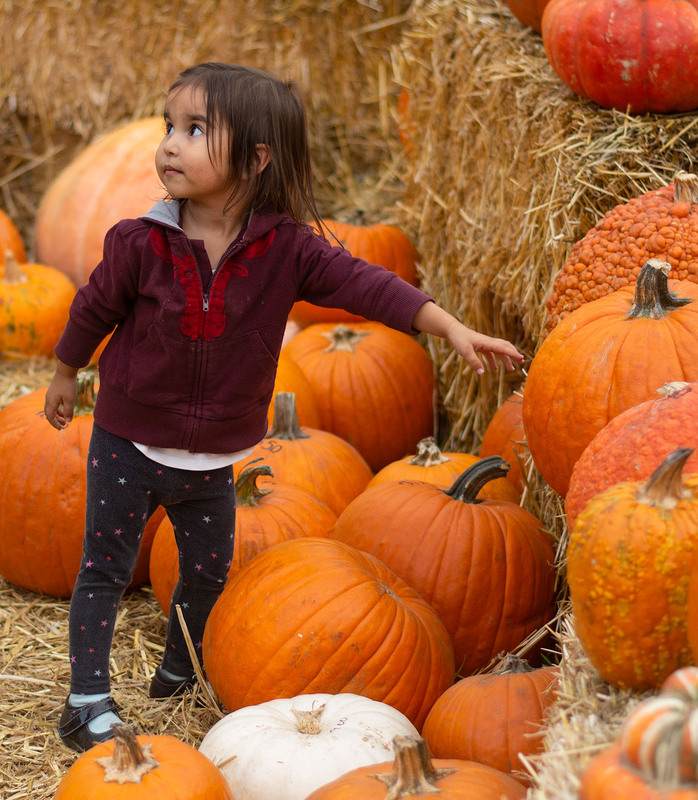 The pumpkin patch is open weekdays 4 p.m. to 8 p.m. and weekends 10 a.m. to 8 p.m. with free entry. The petting zoo and tractor ride are $2 with pumpkins ranging in price by weight and size. The 16th Annual Classic Car Show sponsored by the La Verne Heritage Foundation will take place Saturday 10 a.m. to 3 p.m. with free admission.